Please Stand By - Available as a download or stream? 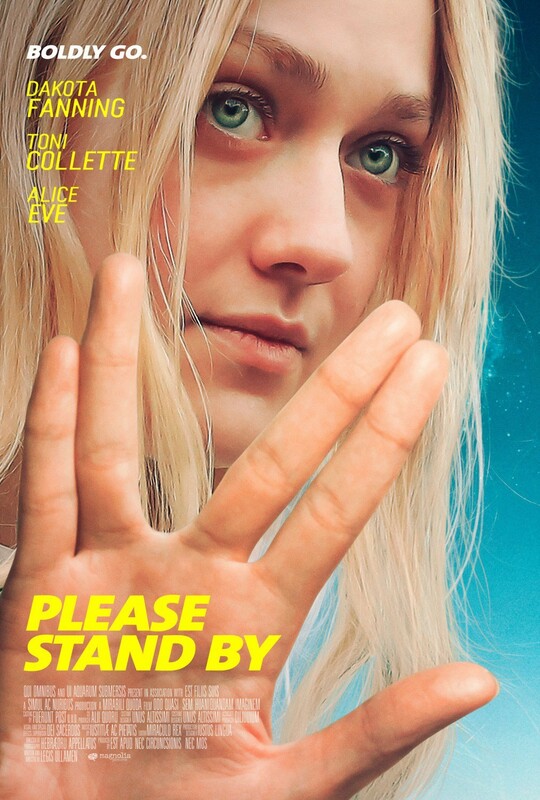 Dakota Fanning stars as Wendy, a young autistic woman with big dreams of turning her Star Trek script into the next blockbuster. Her ambition drives her to runaway from her caretaker to Hollywood, where she enters her masterpiece into a writing competition. The supporting cast includes Toni Collette, Alice Eve, River Alexander, and Patton Oswalt. The film is directed by Ben Lewin, (The Sessions) and is based on a screenplay from Michael Golamco.